Hello everyone! I took these photos this morning before going to work, that's the reason for my sleepy face﻿. Although the days are getting warmer, in the morning and after the sunset it's always a litle bit cold, so I put on this blazer from Zara with a fresh shirt underneath. These shoes from Massimo Dutti are on my top list of favourite shoes because they're so beautiful and super comfy. Olá! As fotografias do post de hoje foram tiradas bem cedo hoje, antes de vir trabalhar, por isso é que estou com esta cara de sono. Apesar dos dias estarem mais quentes, de manhã e ao fim da tarde está mais fresco e por isso pus este blazer da Zara com uma camisa mais fresquinha por baixo. Estes sapatos do Massimo Dutti estão no meu top de sapatos preferidos, gosto imenso deles, acho que são girissimos e super confortáveis. A mala e linda!!! Gotei muito do look e parece ser muito confortavel. O jacket da Zara e muito giro e fica te lindamente. wow amazing look and love your shoes! I'm in love with your shoes!! The lookis so elegant and preppy ;) very beautiful! Great jacket & bag match! I love that tweed jacket and the cap toe oxfords are just so chic and trendy (and practical). Love your style. Following you now. You are so gorgeous and your jacket so absolutely stunning! Gostei muito! 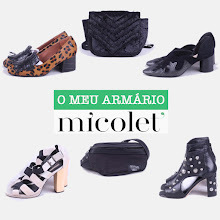 Os sapatos são o máximo!! Gostei muito do look :) É verdade ...de manhã e ao final da tarde fica um frio que não se pode!!! Jebus!! Love the shoes - the jackets great too. Loving this outfit! Love this look, love the shoes! I love this blog, is amazing! thanks a lot! :) following you back now. Loving your shoes and blazer!! oh! you look so pretty! love your shoes!!! thanks for your comment and follow me!!! i follow you!!!! Love your jacket and the pointed heels! By the way I'm also following you on GFC, FB and bloglovin now, do drop by and follow me back too! I love your outfit, you look amazing. I love the blog and your respective styles! Love your bag and jacket!! S pretty,I love this style and the shoes are crazy! Thanks for your comment you girls made my day. what an amazing smart look and fabulous bag! This is something I would totally wear! Lovely outfit! I am loving your shoes! Great casual look! 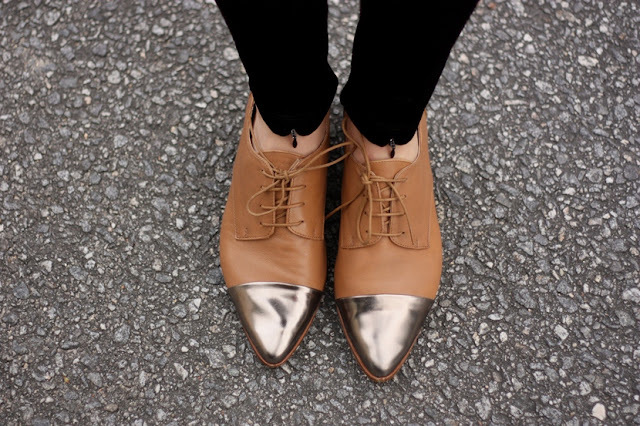 Love your unique and chic shoes! Awesome pics! You asked me if we can follow each other, and your blog is amazing! So of course we can honey :) I'm following you now via GFC! Lovely blazer! And the tip shoes are great! This look is simple, but yet soo elegant and classy... love it! could you visit us and give us your opinion?